Ask any house builder about the challenges in the industry today and the response will most likely involve labour availability, skilled or otherwise. IG Elements continues to invest in offsite efficiency to help house builders meet these challenges. Skills are the essential element in house building which provide the quality and efficiency essential for a successful business. The government has now injected £22million into the Construction Skills Fund which it hopes will loosen the skills shortage stranglehold over the next couple of years, but the reality on the ground is currently still an acute shortage and anticipation of future Brexit supply pressures. Having experienced the advantages of removing complex detailing from site, builders are now discovering the additional benefits which include; enhanced health and safety plus reduced waste onsite. 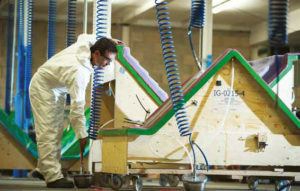 IG Elements is a great example of an entry point into offsite products which can be adopted quickly into a build with the minimum amount of disruption but still make a big impact on the build’s quality. 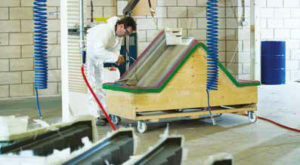 IG Elements has made a major investment in new modern methods of moulding which will help increase quality and volume. Resin Transfer Moulding (RTM) is a closed-mould process for manufacturing high performance composite components, aimed at increasing manufacturing efficiency and the reduction of waste. This major investment will enable house builders to enjoy the key benefits of offsite including build quality, enhanced energy efficiency and a reduction of onsite risks to the health and safety of staff. In a tough market, first impressions count and offsite components can add considerable kerb appeal to volumetric housing. Products include the Coverlite Canopy, the Redi Dormer, Easy Bay, Rapid Stack and Preform Surrounds.